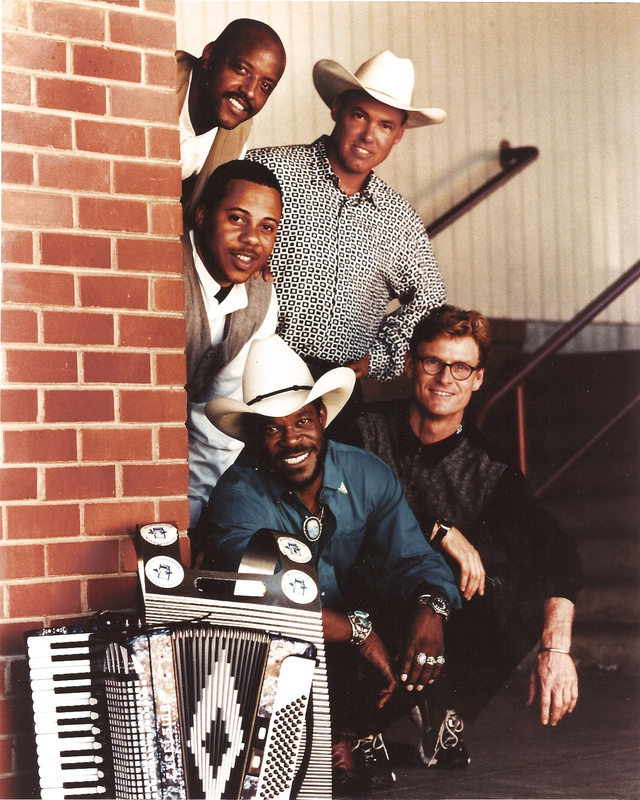 Zydeco Flames is recognized as the West Coast’s Premiere Zydeco Band. Their riveting sound comes from deep musical roots of Louisiana music & Creole culture plus Chicago Rhythm & Blues, Funk, and one of the tightest rhythm sections in the business. Winner of a North Bay Music Award, in the World / International Music category. Accordionist Bruce Gordon first teamed up with singer-rubboard player Lloyd Meadows. Their work has included the premiere of the essential documentary film on Cajun and zydeco music, “J’ai ete al Bal.” They later expanded into a full band with electric guitarist Frank Bohan, bassist-singer Timm Walker, and drummer William Allums Jr. This in demand party band has performed at just about every important event in the Bay Area, from the Black and White Ball to the San Francisco Jazz Festival, as well as countless Louisiana, Cajun, and zydeco fests.